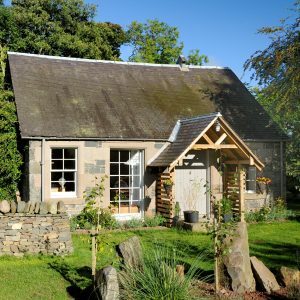 Dod Mill is a collection of modern, rustic holiday cottages in the north Scottish Borders and close to Edinburgh (40 minutes). Guests can stay in the Old Mill (sleeps 2) or The Bothy (sleeps 2-4). The self-catering accommodation is set in the grounds of Dod Mill. 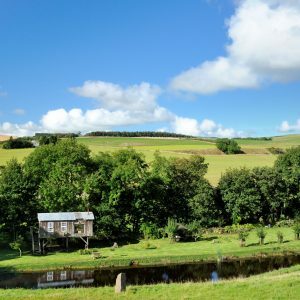 Guests can wander along the old mill lade to the mill pond, walk up the Boondreigh River towards the Lammermuir Hills, make friends with a few rare breed sheep and find quirky, old artists cabins scattered around the site. There is loads of wildlife to spot – heron, wild ducks, salmon, trout, deer, hedgehogs, owls, otters (dawn & dusk if you’re very lucky!) to name a few. 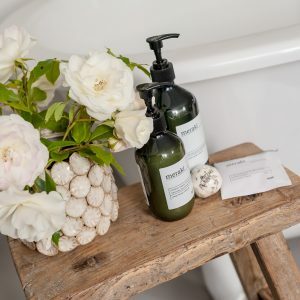 The Royal Burgh of Lauder – with its artisan deli, local butcher, baker, wonderful fruit & veg shop, art gallery, restaurants and pubs – and the fairytale Thirlestane Castle are less than 4 miles away. The Bothy is Dod Mill’s bijoux barn conversion. 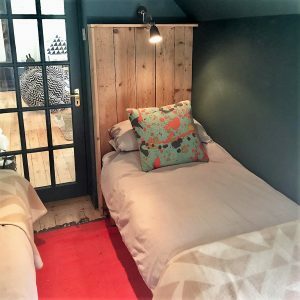 It’s somewhere you can really chill out as a two- some, family or small group (up to four guests). 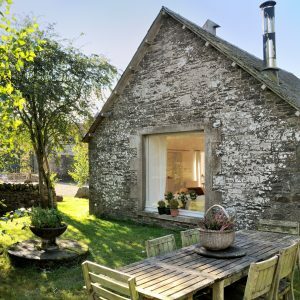 Go for walks around Dod Mill (ducks, ponds, rivers, sheep and woodland), make easy journeys to Edinburgh or beautiful Border towns and sites, and return to your own woodburning stove in The Bothy. The stone-built property has a large living-dining space which is full of light. 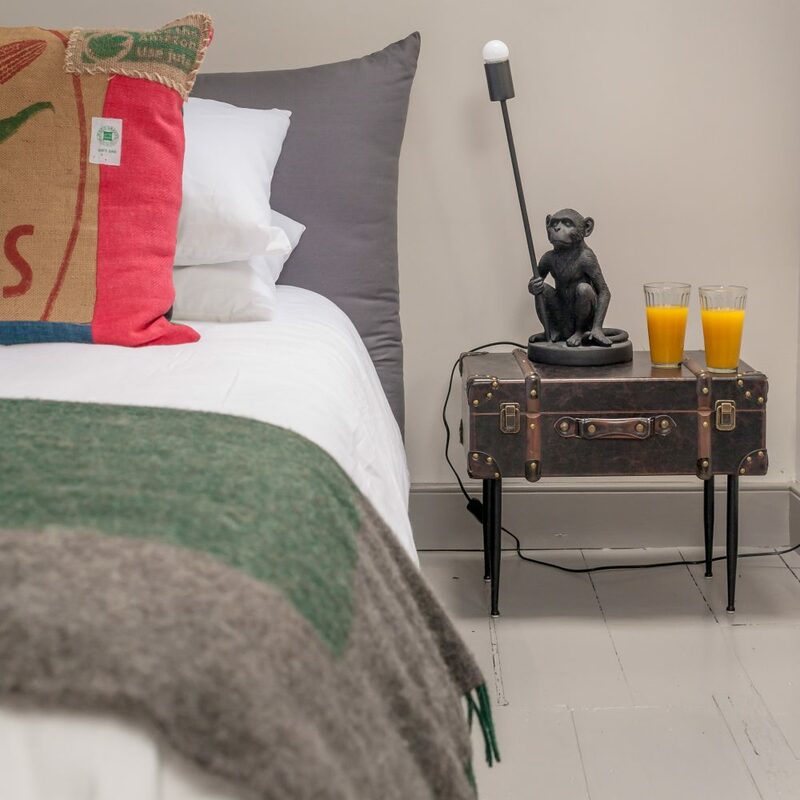 The interiors are inviting and interesting with lots of eclectic objects and soft furnishings around the place. There is a comfy sofa-bed in the living area, a twin bedroom and, beyond, a shower room. 100 years ago, The Bothy would have been home to Dod Mill’s animals and farm machinery. In the intervening years, it’s also been a stained glass artist’s studio, the legacy of which is the beautiful large window on the gable end, looking into the small walled garden area. The Old Mill offers open-plan living for two. 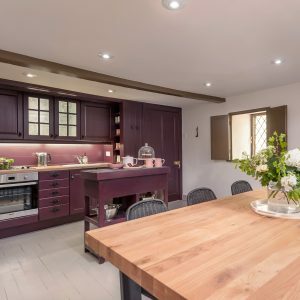 The aubergine-coloured kitchen and large dining area opens out into an airy double-height living space. Find a beautiful mezzanine bedroom and bathtub above. Unlimited logs for the stove, thick stone walls, underfloor heating and handmade shutters make the Old Mill extremely comfortable in winter months. 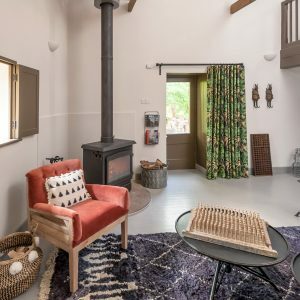 Cosy-in for the weekend, or emerge to wander the banks of the Boondreigh River, the mill lade and mill pond. All the while, wonder about life as an 18th century grain miller. 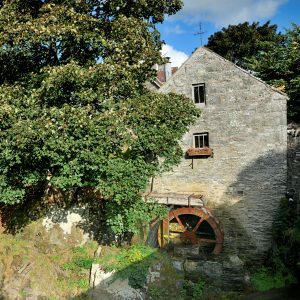 The Old Mill is just 15-30 minutes to many Scottish Border towns and historic sites. It’s also an easy day trip to Edinburgh by car.